Why is Facepainterina the Best? 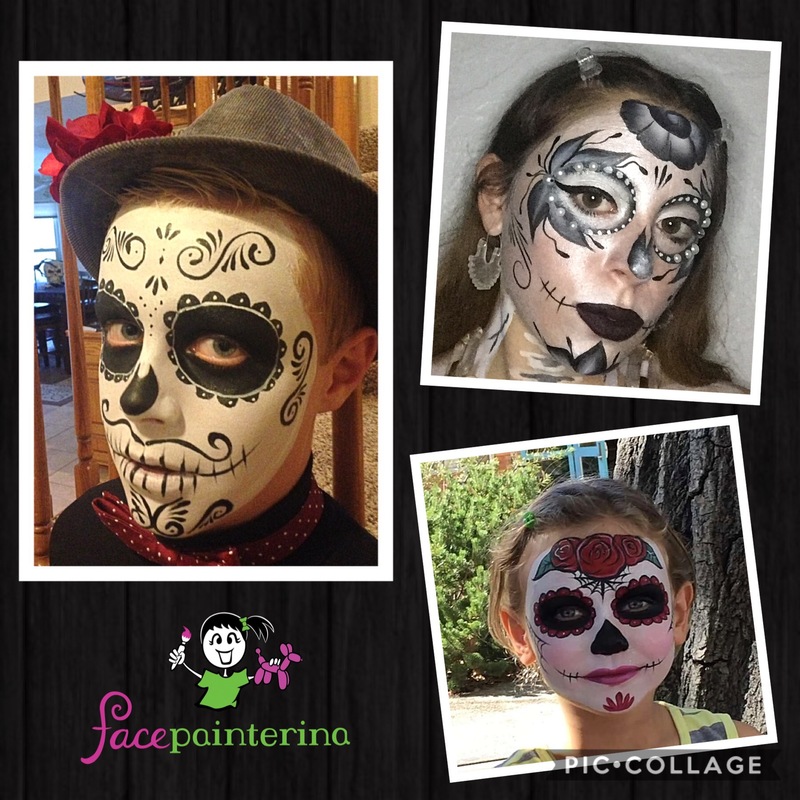 Facepainterina uses face paints, cosmetic glitters, and makeup that are FDA compliant. We maintain the highest hygiene and sanitation practices. 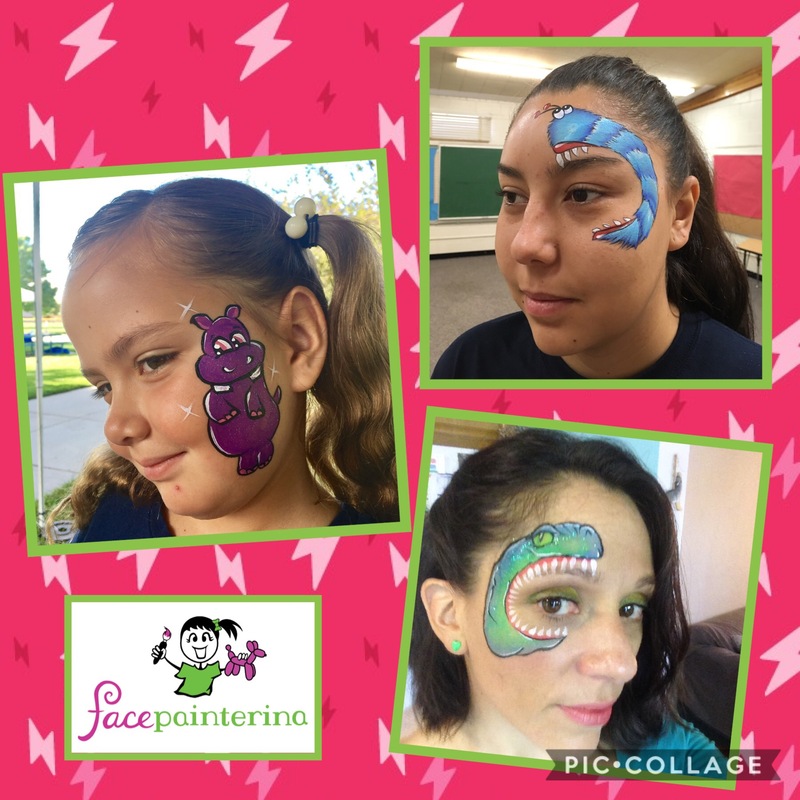 Facepainterina attends yearly face painting and balloon conventions to learn the best face painting and balloon twisting designs and techniques. We keep up with the latest business tools and practices to make booking for your event easy and worry free. Facepainterina aka Jolianna Schultz is a loving mother of three with a strong background in customer service and childcare. She is excellent with kids and parents! 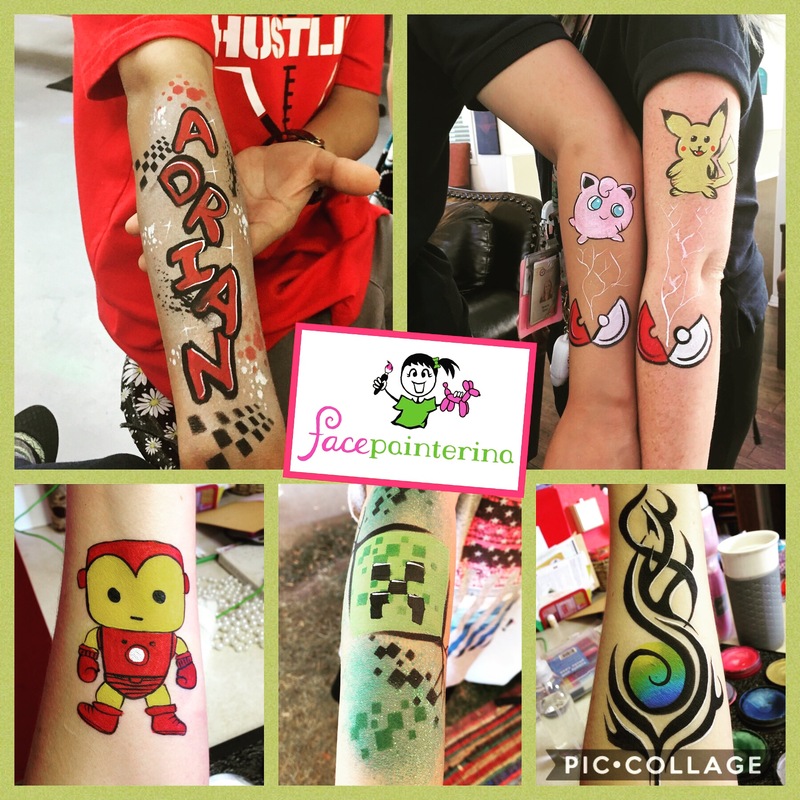 We offer face painting designs to match your themed party! 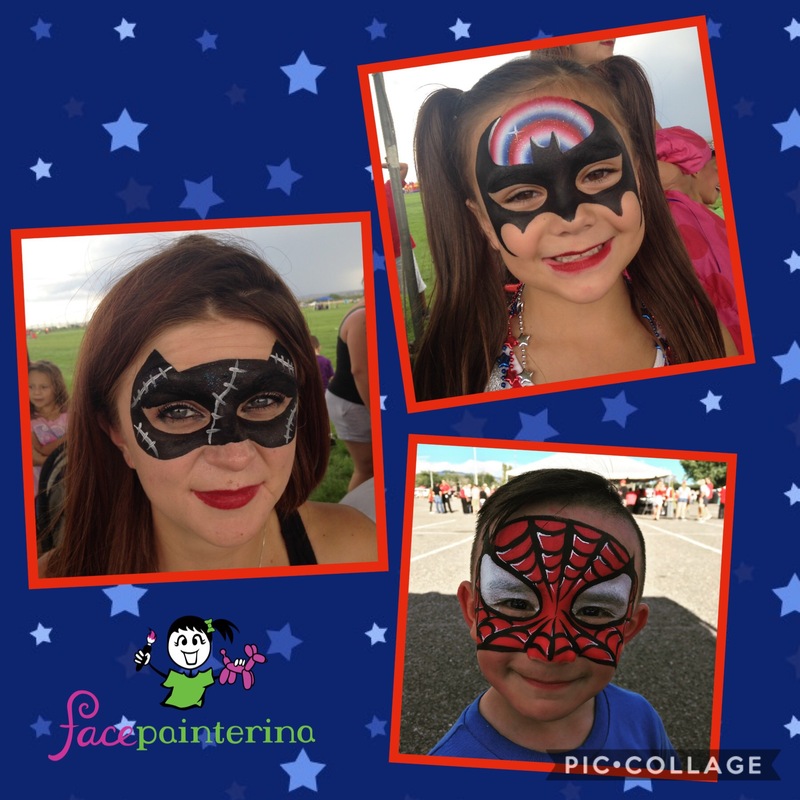 Jolianna specializes in fast yet awesome face painting for large events and parties. She also offers detailed full faced designs for parties and private appointments. 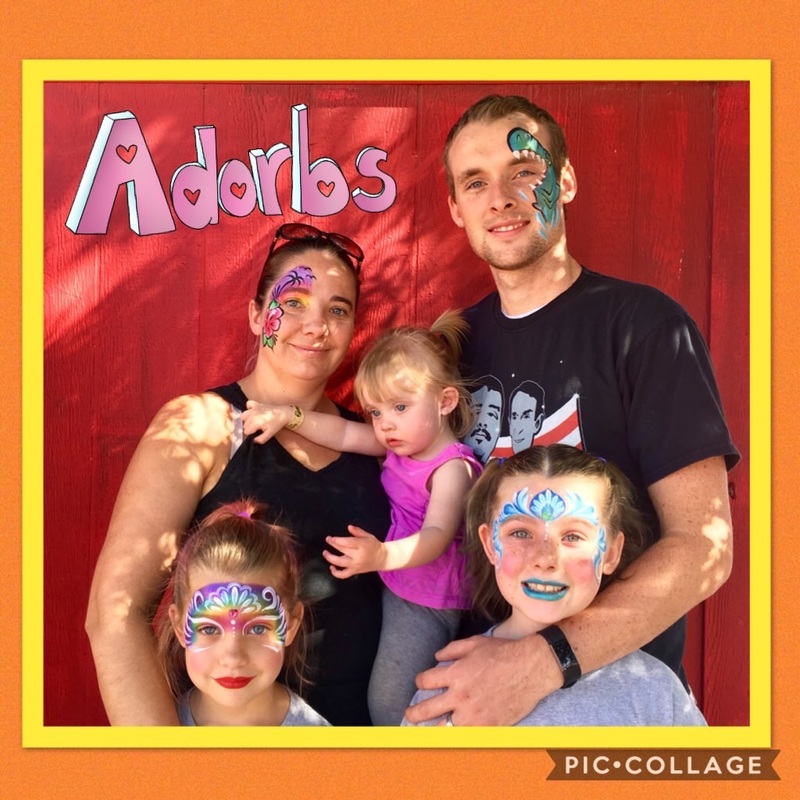 If you want ideas for parties, check out my blog! If you have a face, I’ll paint it! 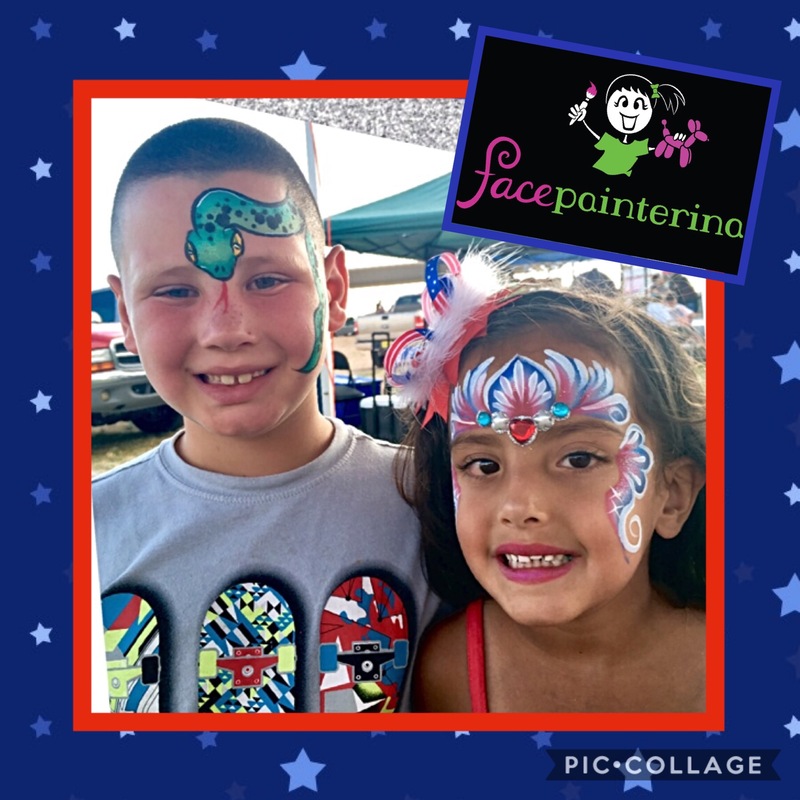 Facepainterina will paint your faces for any occasion. Large or small, we paint at them all! 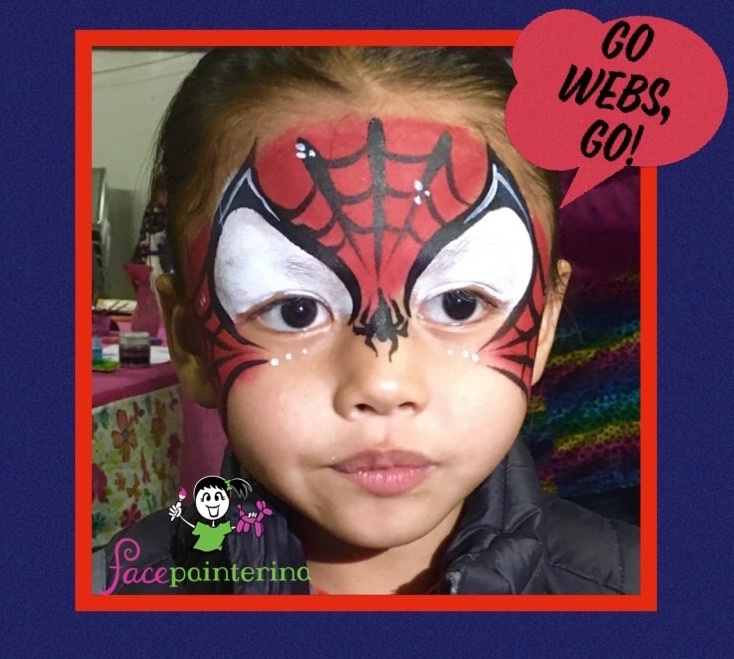 Make your next party memorable and colorful with professional face painting. 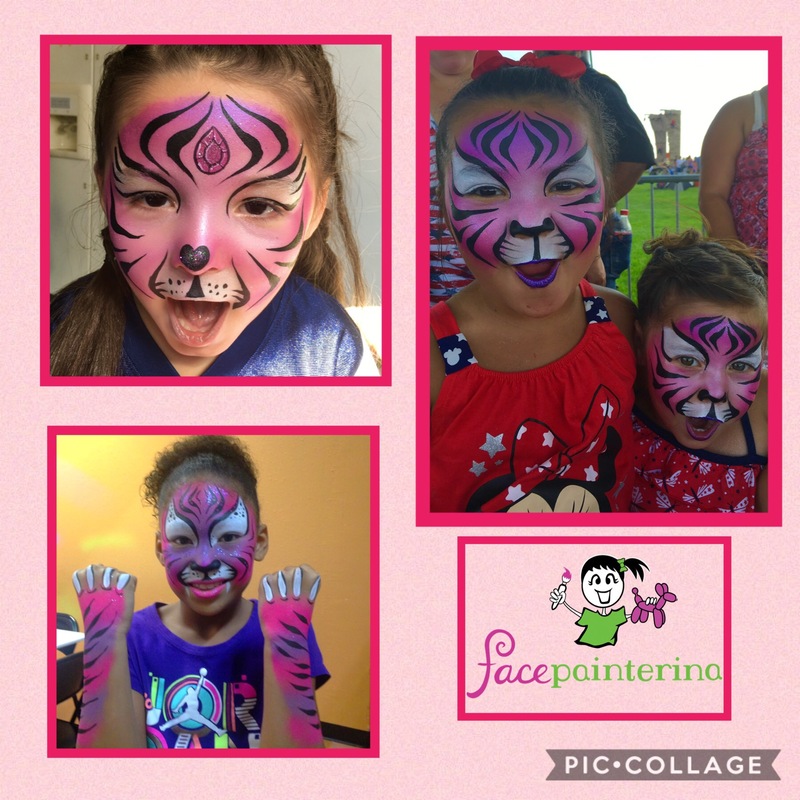 Our face painters can paint 10-15 kids per hour. Do you have other activities planned at your party? Waiting in line should only happen at the MVD, not a party! 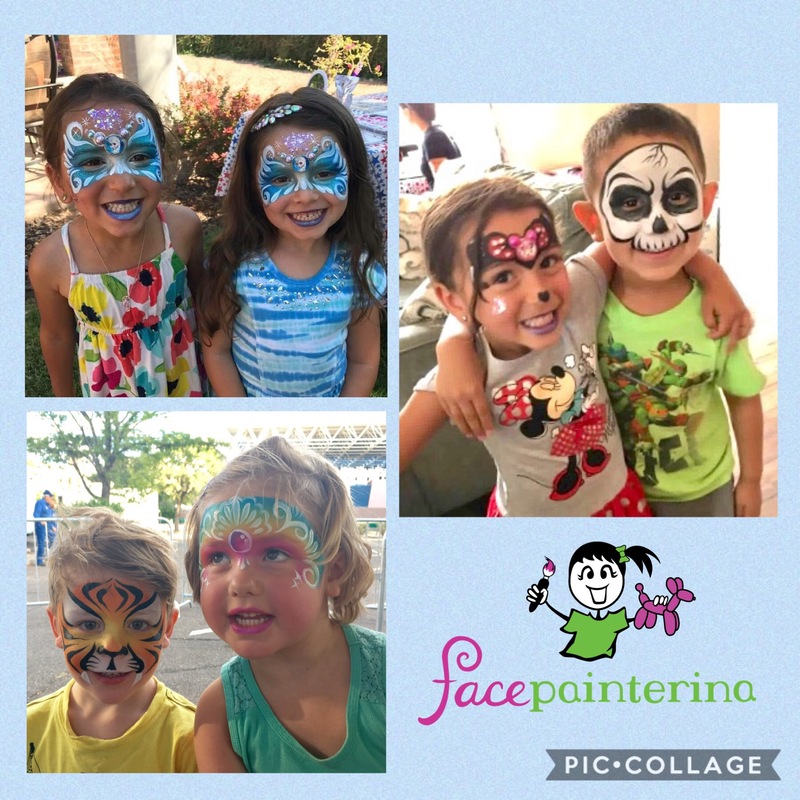 Guests can sign in on our face painting list and engage in other fun activities while waiting for their turn. Got a theme? We’ve got a face paint for it! Whether it’s unicorns, superheroes, or other popular characters, we’ll add a few designs to our menus. Psst…we can even create custom balloon designs and decorations to match! What?!? Is your kid squirmy, shy, or special needs? Jolianna has worked with kids for decades and has attended numerous child development and child education trainings. She is amazing with kids. Check out some of her reviews. 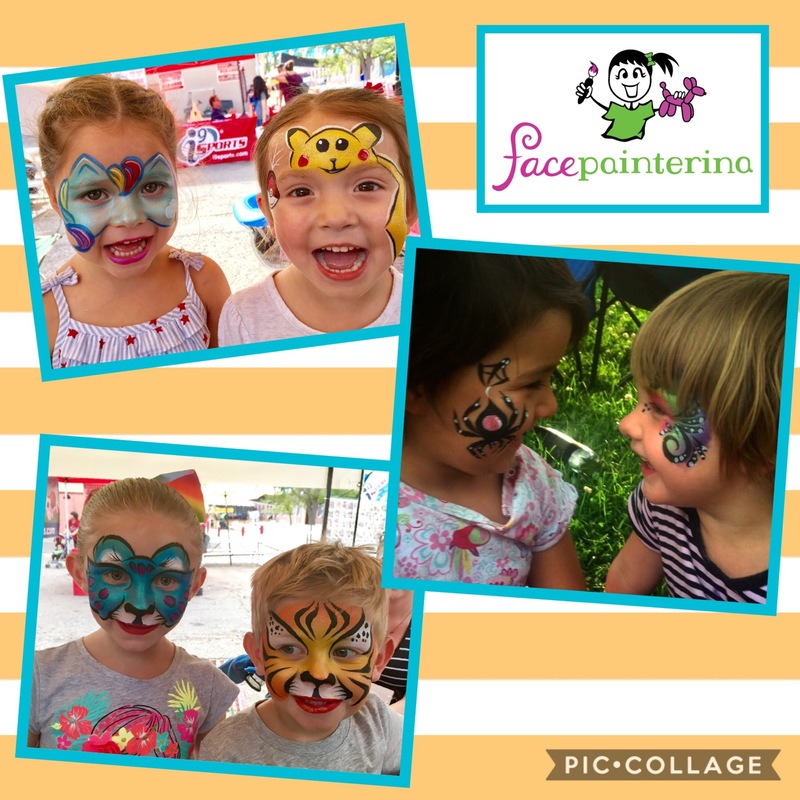 Hiring a professional face painter will attract more people to your event and leave a fun, lasting impression. 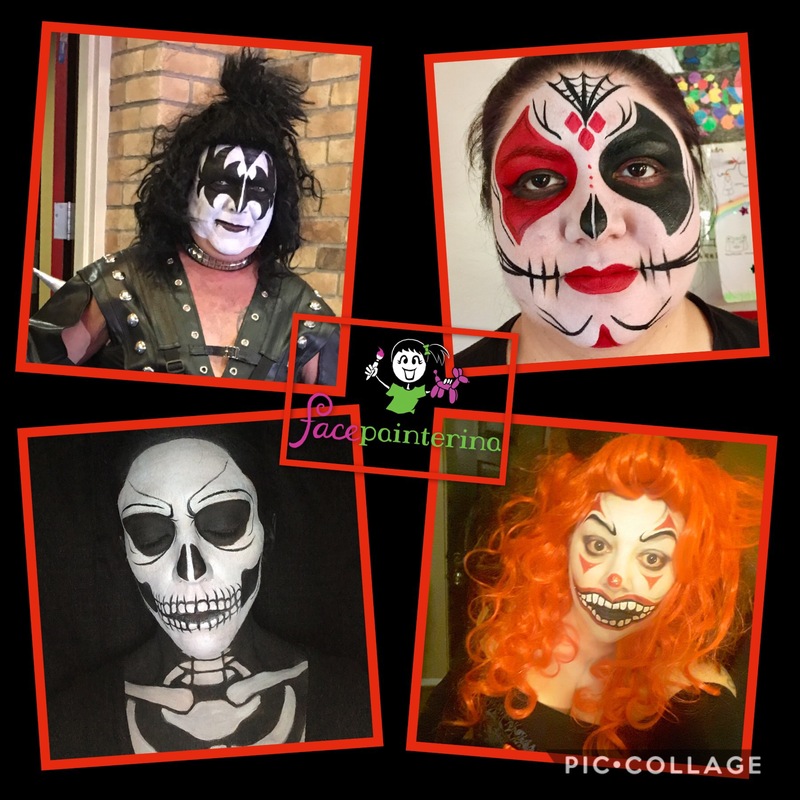 Our face painters can paint 20-30 eye-catching designs per hour for large events. What an amazing value!! 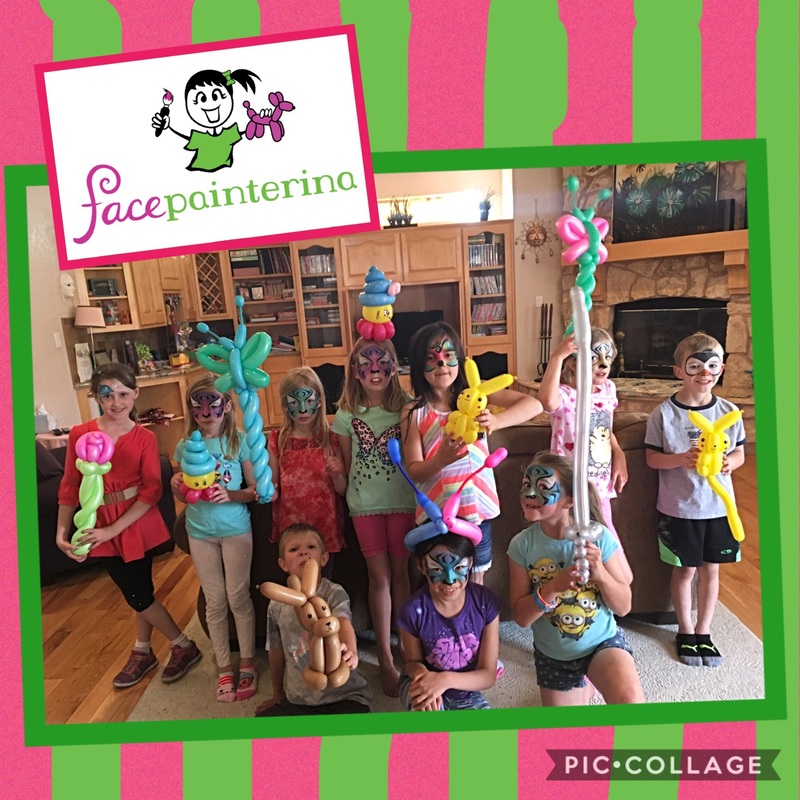 Facepainterina maintains a professional yet fun atmosphere. 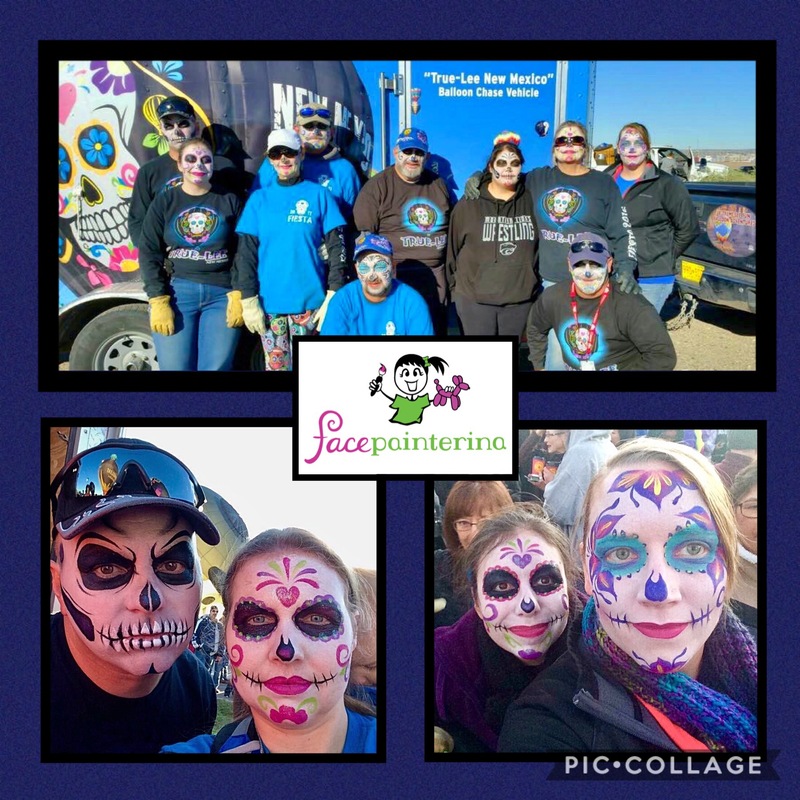 Facepainterina provides service for large events all over Albuquerue, New Mexico and many surrounding areas. We currently work with APS, the NM Autism Society, the City of Albuquerque, Bernalillo and Belen Libraries, Children’s Choice, and many more. 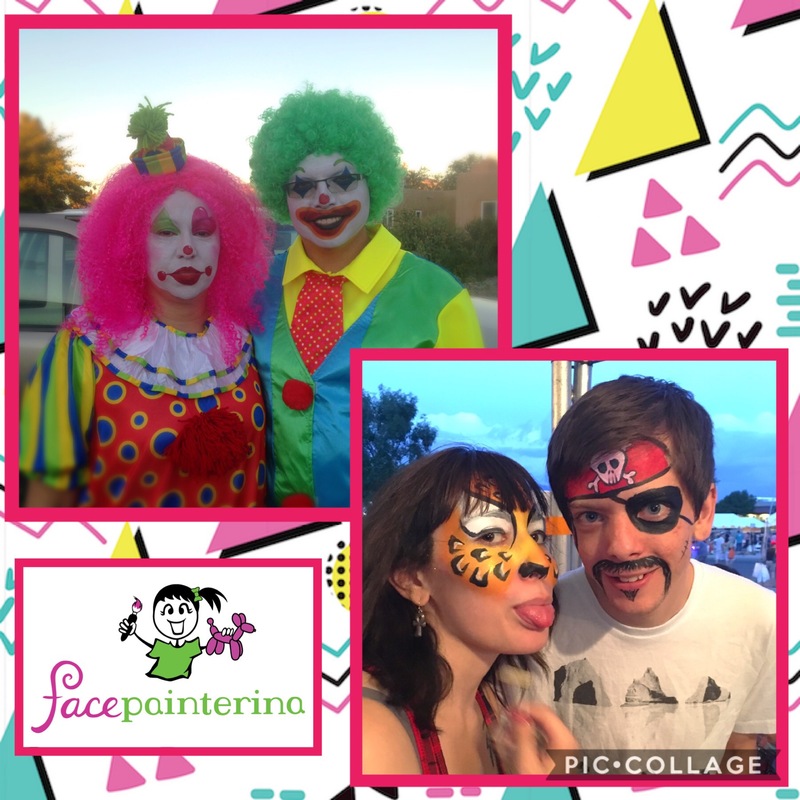 Facepainterina has run a booth at the NM State Fair for the last four years. For the last 5 years, she has painted at the Albuquerque Balloon Fiesta Pin Trading event. 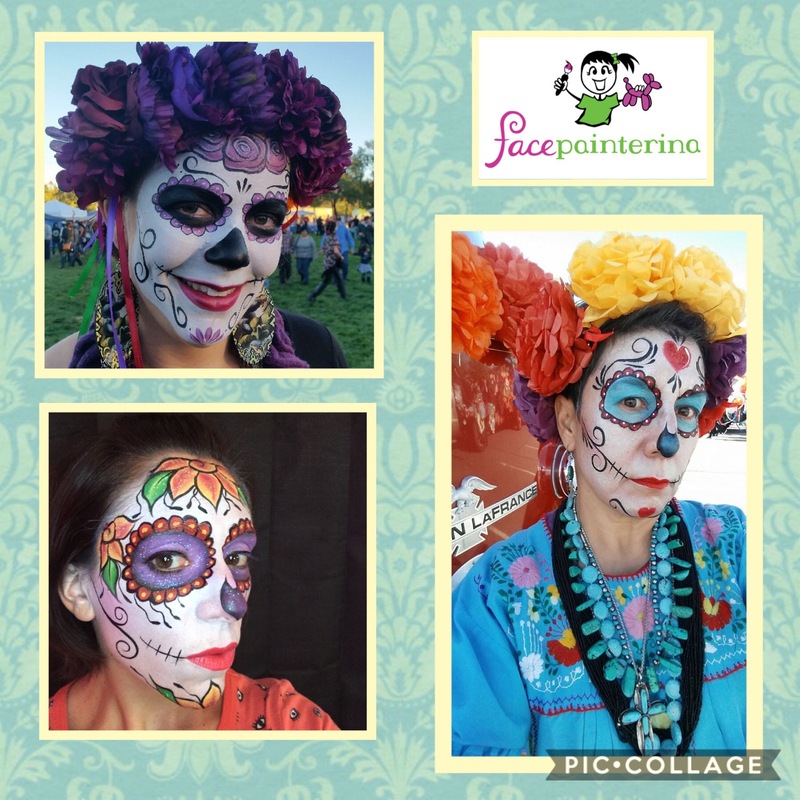 Over 1000 people follow Facepainterina on Social Media. We post about all of our public events. Let our followers become your followers! 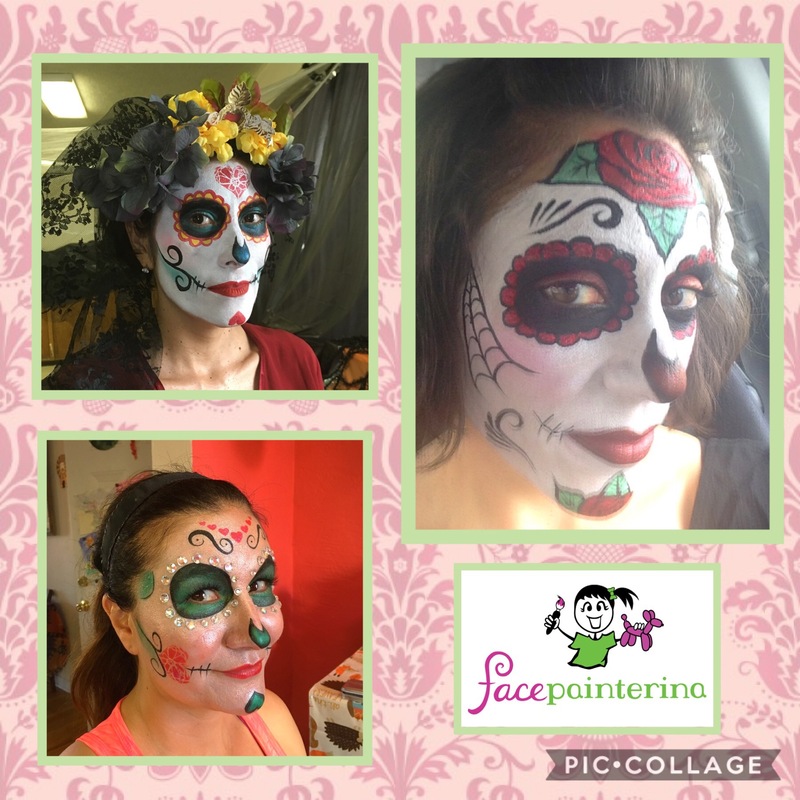 Facepainterina offers private face painting appointments for Halloween, Day of the Dead, Mardi Gras, masquerades, Comic Con and many other costumed occasions. Cheap, grease-based paints from party stores are difficult to work with and can stain and irritate skin. 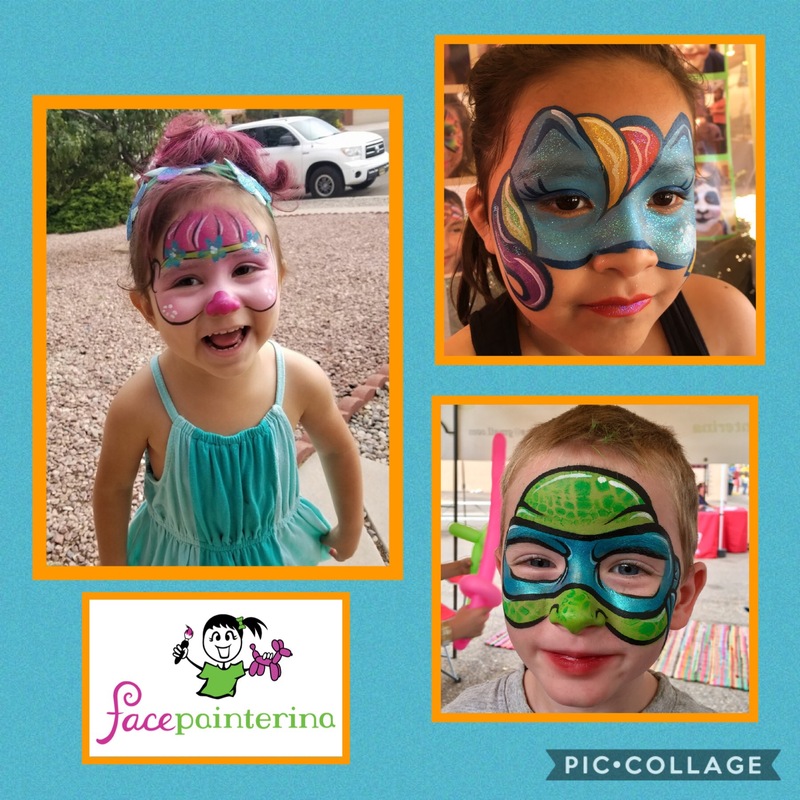 Facepainterina uses high quality, water-based face paints. Don’t worry, get waterproof! 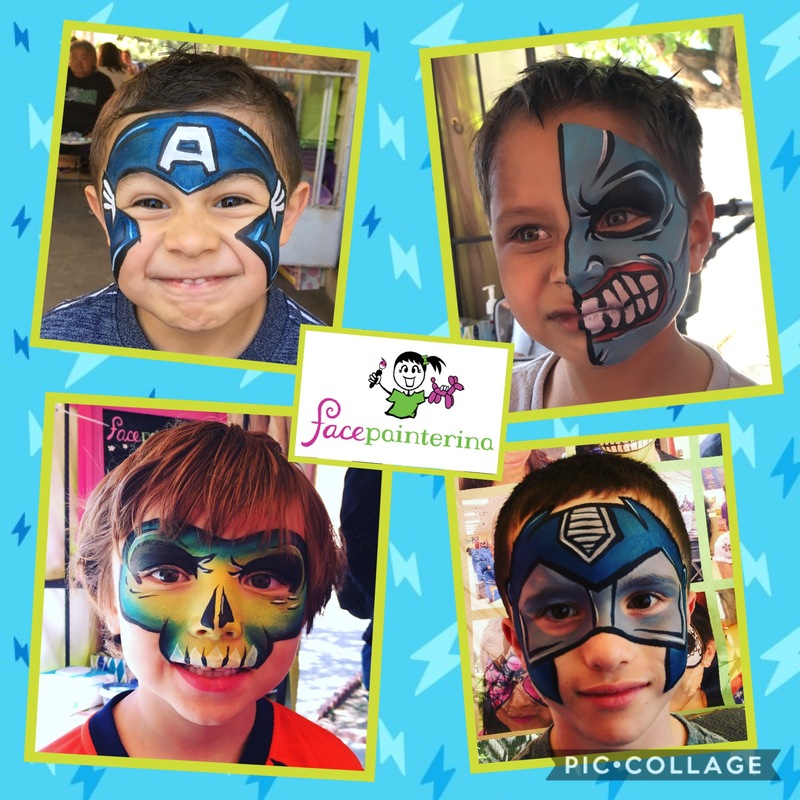 We offer two ways to ensure your face paint lasts for many hours! We can use a makeup setting spray or waterproof face paints. Book the best, so you look better than the rest! 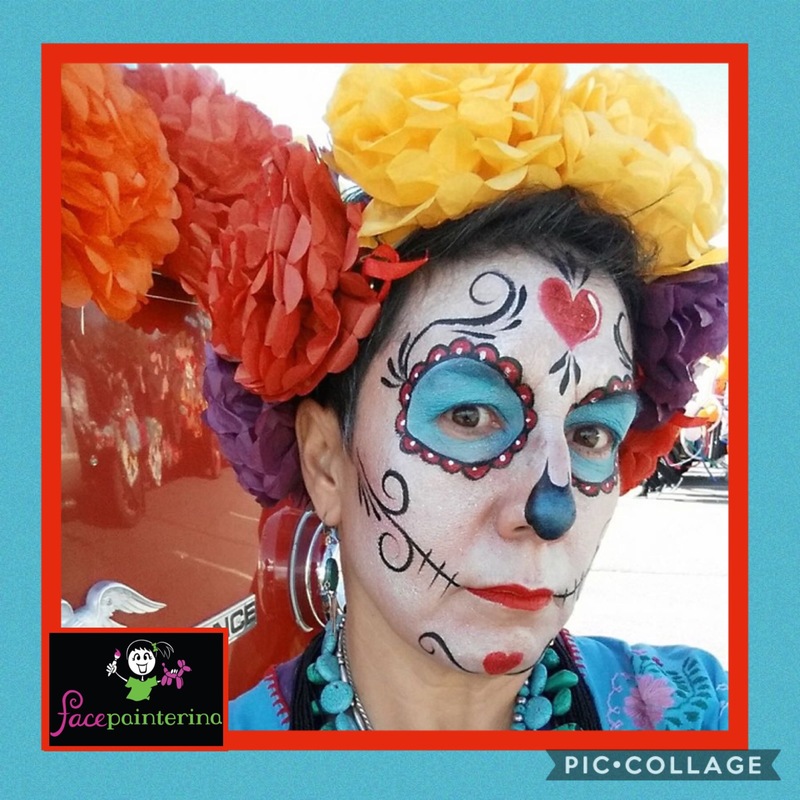 *For Halloween and Dia de los Muertos our schedule books up 1-2 months in advance. All appointments are first come first serve and require a deposit. 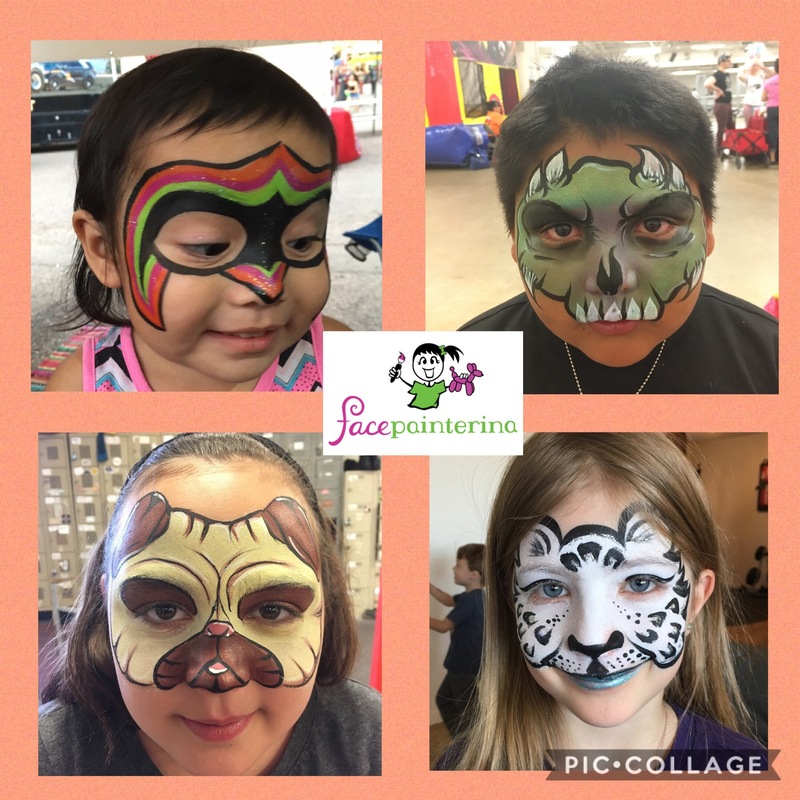 From private face painting lessons to group classes, professionally trained face painter, Jolianna, teaches beginning to intermediate face painting techniques and designs. She offers one time and ongoing classes. Do you need a fun new way to teach your kids art? 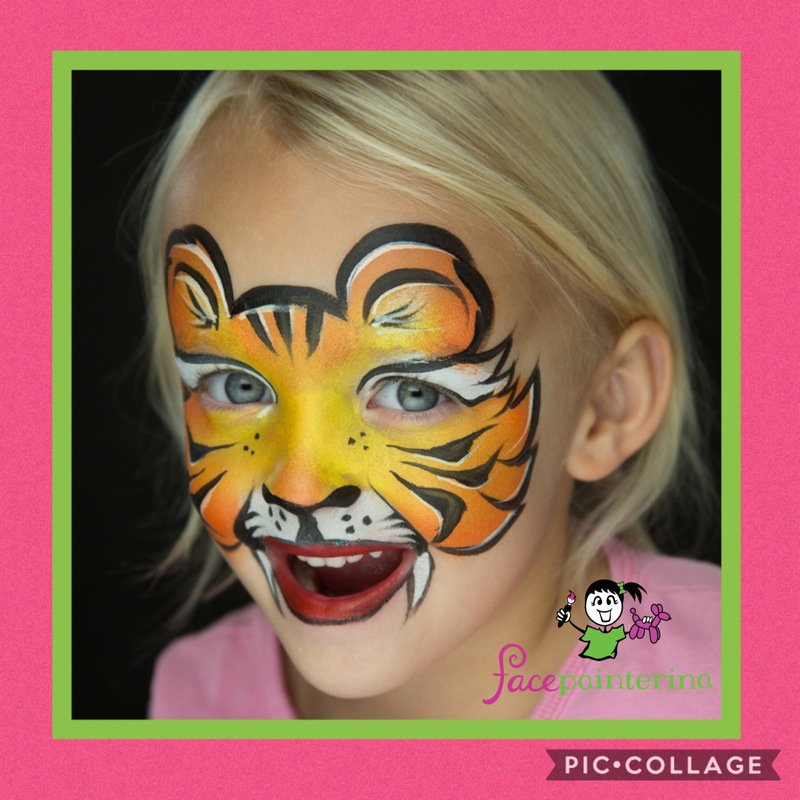 Face painting is a fun way to teach kids about colors, shapes, and helps develop fine motor skills. Ask about our discounted pricing for ongoing weekday classes. 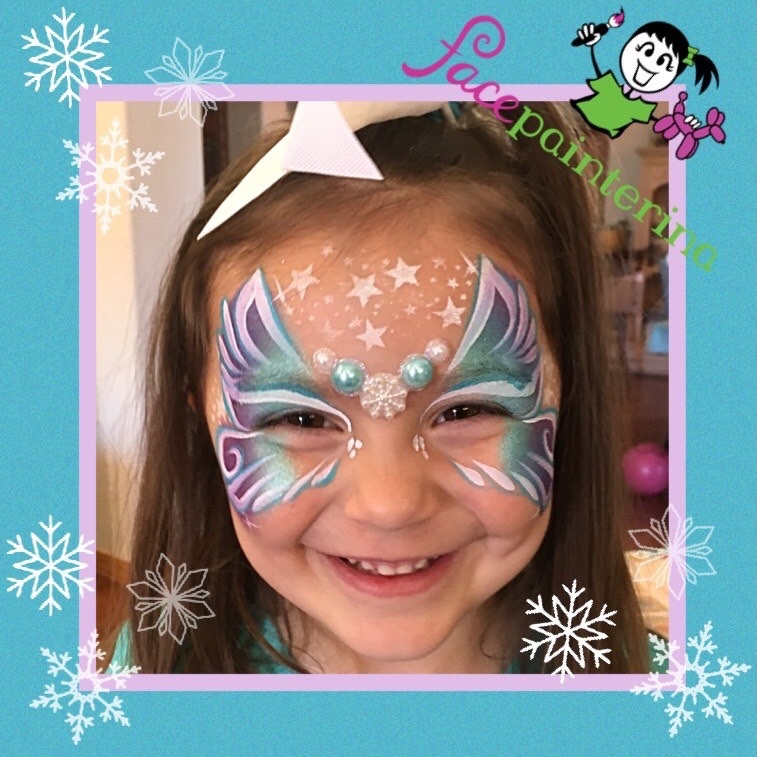 We provide the face painting kits and instructor! Painting parties are all the rage right now! 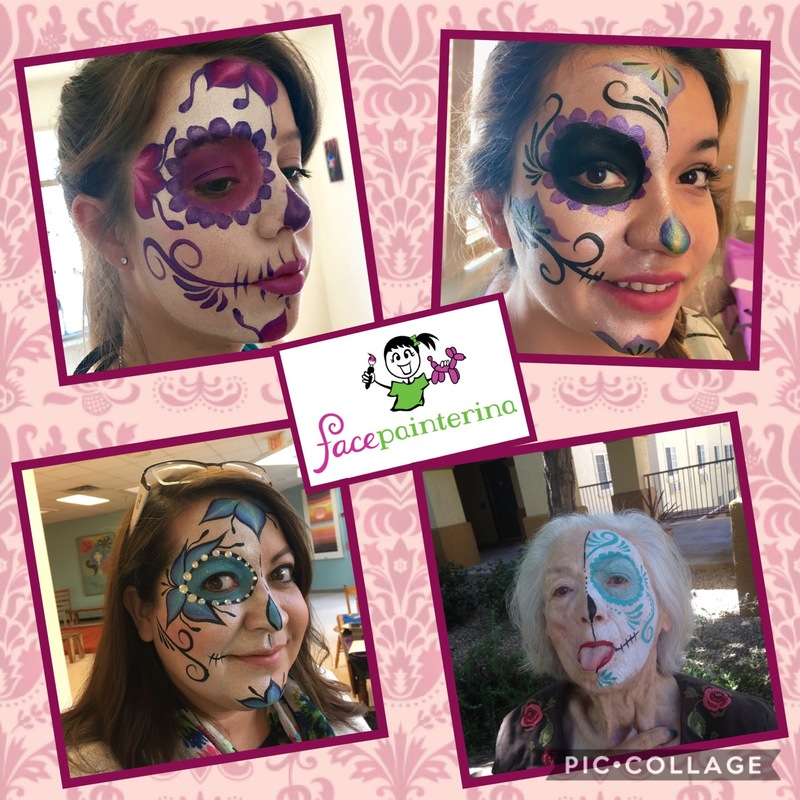 Book Facepainterina’s Face Painting Class for your next party, kid or adult! 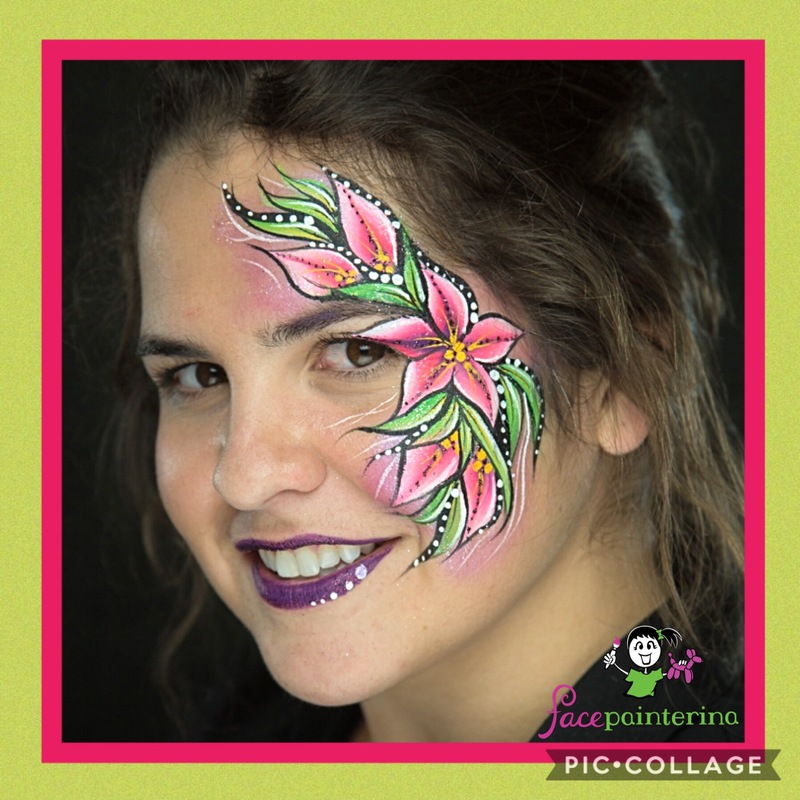 Jolianna will teach your guests beginning face paint techniques and one cool design of your choice. Each participant will receive their own face paint kit with practice sheet. Check entertainment and party favors off your list!